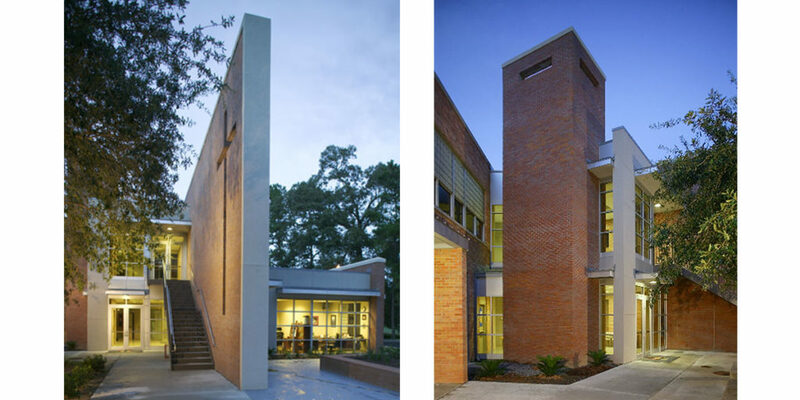 At the heart of the campus in Covington, Louisiana, the Academic Building at St. Paul’s School received a new look and layout in this progressive renovation and addition. 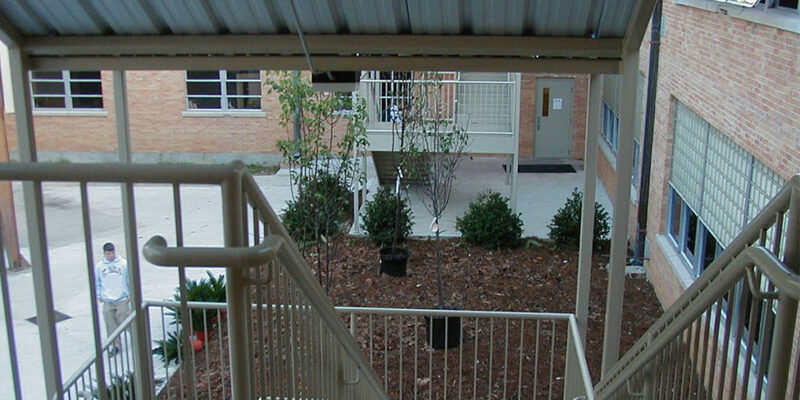 Taking cues from the existing driveway entrance, the new addition set up a formal entrance for the building, strengthens the master plan, becoming a focal point for the campus. The large brick wall, pierced by an open crucifix, served to both unite the older edifice with the new addition and to provide a dramatic entry statement as it extends toward Founders’ Circle, symbolizing the mission of the Christian Brothers: faith and zeal. 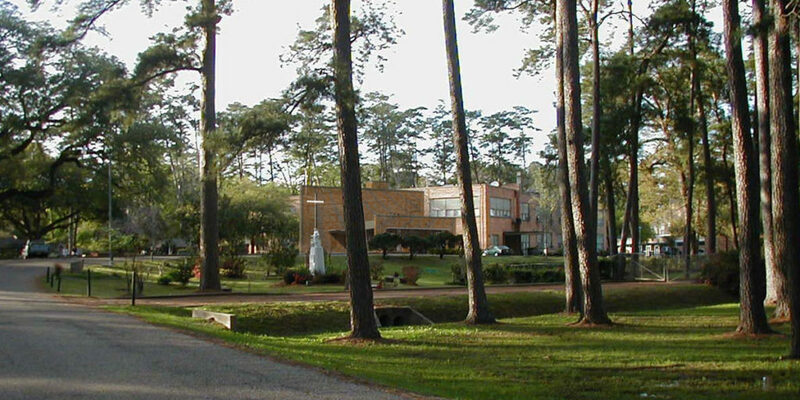 Modernization and improvement of the Academic Building, first dedicated in 1950, into a state-of-the-art educational environment required upgrades not only to the physical structure of the facility, but also to all mechanical, electrical, lighting and plumbing systems. Within the existing building footprint, the original chemistry lab was refurbished and joined by four new science laboratories and space for three additional classrooms. To accommodate Academic Department needs and growing enrollment, the new addition provided new reception facilities, administrative offices, conference area and lobby, as well as an elevator and new staircases for improved student traffic flow.